A low impact Needak rebounder workout will make you feel and look great. Rebounding increases strength, burns fat, improves balance, firms all over, and also provides an aerobic exercise to strengthen your heart and lungs. Thousands of people have discovered that by rebounding they sleep better, can work longer, and feel less nervous and stressed. This effect is caused from bouncing up and down against gravity is one of the best exercises ever developed because it positively affects so the body in so many different ways. Rebounding is unique in that you can use your rebounder in virtually any room in the house, at the office or even while traveling. Whenever you have a few free moments you can get on the rebounder for a great workout. Needak® rebounders are unquestionably the highest quality rebounders available today. Every component of the Needak rebounder has been refined and every manufacturing process has been optimized to produce the best rebounding system available. Other brands are produced by contract manufacturers and imported by marketing firms who focus on cost rather than quality. Unlike a contract manufacturer, Needak only produces rebounders and it is the sole focus of the entire organization. Needak is the only manufacturer who can claim that, and Needak manufacturing has been ongoing since 1990! Springs: Needak® springs are barrel shaped and longer than cheap imported models. The unique Needak springs absorb approximately 85% of impact each bounce. The shorter springs are simply not capable of providing this kind of jump performance. Hinges (folding models): The Needak® hinge is virtually indestructible and assures that you are not sacrificing quality or durability by selecting a folding model. Permatron® Mat: The Jumping surface of the Needak® rebounder is made from a tightly woven matting that is UV and stretch resistant. 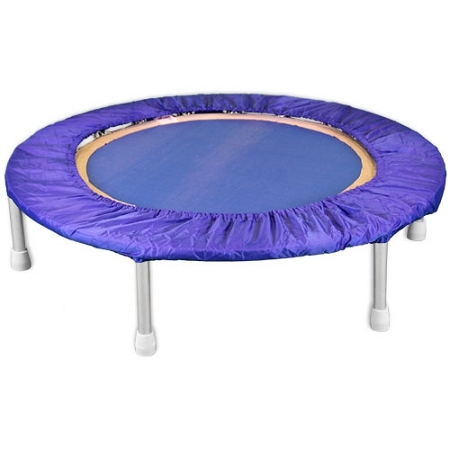 Platform: The Needak® rebounder frame is constructed from heavy gauge steel and is 40 inches in diameter. The round shaped platform is far superior to square or octagonal designs in that is distributes the rebounding force evenly on the frame. 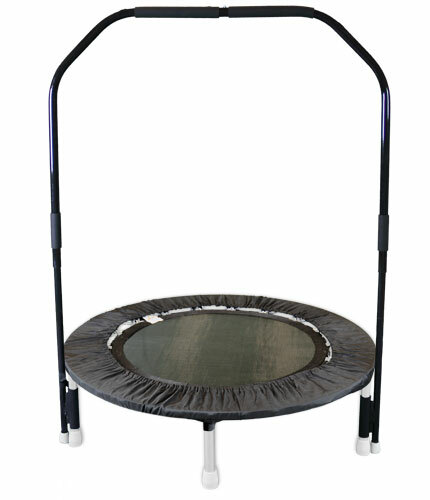 While a Needak® rebounder only weighs 25 pounds, the steel construction assures years of use. 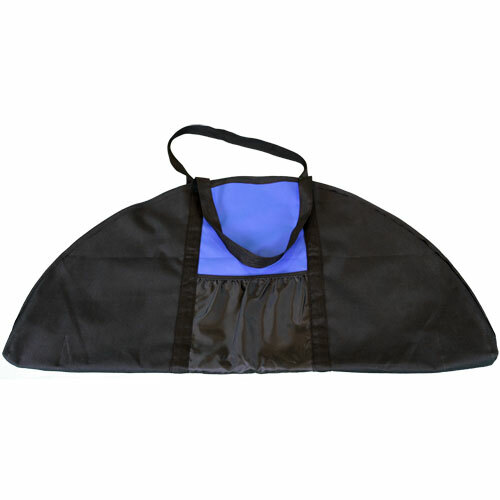 The Needak® SoftBounce Rebounder is recommended for users under 300 lbs. 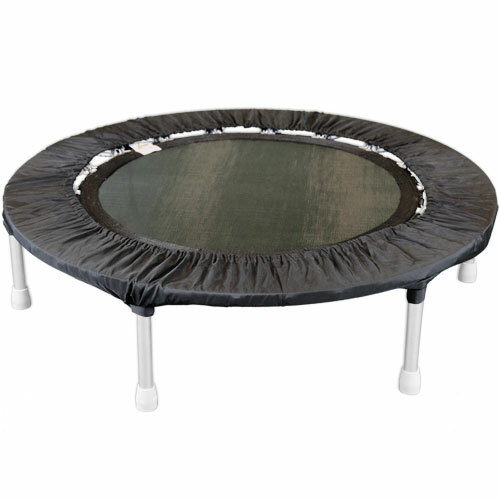 The NeedakNeedak® HardBounce Rebounder is recommended for users over 300 lbs. The stronger springs on the Hardbounce will prevent the rebounder from "bottoming out" for users over 300 lbs. while the springs on the SoftBounce will provide users who are under 300 lbs. a better rebounding experience. Note: Frame Cover not included.